A huge wine glass that's large enough to hold a full bottle! This amazing bottle of wine glass makes a truly special gift for that wine lover, this large wine glass can actually hold a full bottle of wine. 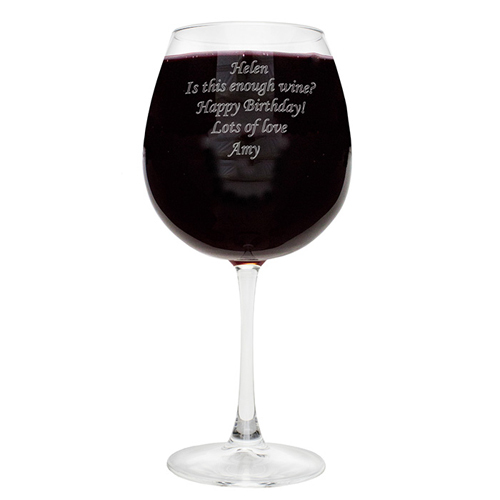 Make this amazing wine glass extra special by adding a special of message over 5 lines with 20 characters per line over line 1 - 4 and 4 characters on line 5. Personalise over 5 lines with 20 characters per line over line 1 - 4 and 4 characters on line 5.